I have just surfaced from the pit with a very short post. For the real football fan, Bantr.tv are in the terrace! 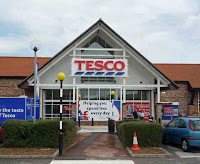 Today, Mrs Tatty and yours truly popped into Tesco’s to do a bit of shopping. Whilst there, we decided to take up their meal deal offer of a main course, a side order and a dessert for £5. On the shelf, bordered with banners advertising the deal, we selected a main course of Chicken Pasta bake, along with a side order from the top shelf of 8 Garlic Bread Slices and a dessert of cheesecake (situated on the lower shelf). After paying at the checkout, I noticed that the deal had not been discounted, and went to the Customer Service desk to ask the reason why not? After the lady had returned from checking, she informed me that the slices were not part of the deal and offered a pack of garlic baguettes instead (which were situated next to the slices). I asked why the slices were located in this section, if they were not part of the deal, but it was abundantly clear that the assistant didn't know. So I asked to see the store Manager, who I thought may have a vague idea as to what was going on. “He's not here”, I was rather curtly informed, and in that case we decided to ask for, and received a full refund, as we didn’t particularly want the baguette option (and as a matter of principle as well). Surely if Tesco are going to make an offer in store, they should make it perfectly clear what items the offer consists of and make sure their staff are fully aware when filling the shelves. Is this too much to ask for Mr T? I must also comment that when I was recently overcharged on a deal in ASDA, not only did they refund the amount, but gave me a £2 shopping card in way of an apology. 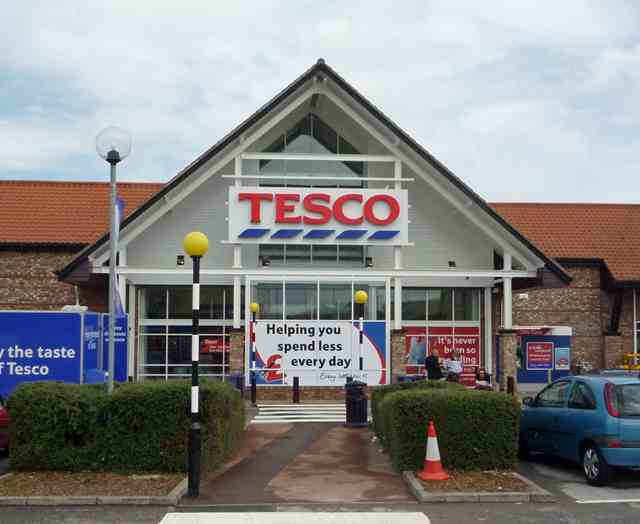 What am I likely to get from Tesco? Don't forget - every little helps! I have emailed this story to Tesco’s online customer services department and so far have received an automated email back apologising, saying they will investigate. I would keep you all updated, but I don’t imagine they’ll be a great deal to update somehow. Moral of the story: If you do shop in Mr T’s emporium, please make sure you check up on how much you are being charged for your purchases, and watch out for them trying to rip you off. Tatty is now returning his trolley! I recently applied for the vacant position of Horse Racing Topic Editor on the site, and have found out over the last couple of days, that I have been successful. As you possibly would have guessed from reading some of my work, horse racing is somewhat of a passion of mine. Be it European racing - where I used to be a work watcher on the gallops at Newmarket and have travelled to all parts of the UK, in Ireland and France also, taking in as many courses as I can. Or to International events watched live on TV from the US and Australia to name but 2, I can never get enough of watching the "ponies trotting". However, a site is only as good as the writers thereon and here I am on the lookout for up and coming scribes to write on the subject of horse racing (although there are jobs available in all subjects should other areas be of more interest). 1. Receive lifelong royalties generated by your articles. 2. Extend the reach of your work by introducing it to millions of readers monthly. 3. Build your writing portfolio and enhance your profile and reputation online. 4. Interact with an established network of professional editors and writers. 1. Get paid to write about topics that truly interest you. 2. Build your profile and portfolio on Suite101 to get noticed by your audience. 3. Share ideas with our community of 8000+ writers and learn tips and tricks from some of the best in the industry. 4. Get critical feedback about your work from our team of professional editors. 5. Set your own schedule! If you are seriously interested in applying to write for suite101.com please either click on the following link or please do not hesitate to get in contact if you have any questions. I have been working late into the night again, producing a new horse racing article for the benefit of mankind. It is a preview to the upcoming Glorious Goodwood meeting, a festival jammed packed solid, full of style and chic! For the first time this year, there is a Ladies Celebrity race taking place on Ladies Day, in aid of Great Ormond Street Hospital. One of the contestants is BBC Radio 1 DJ Sara Cox, who is featured discussing her participation in the following clip. The highlight of the meeting however is the unofficially titled "Duel on the Downs", where this last ears winner of the Sussex Stakes, Canford Cliffs comes up against wonder colt Frankel in this year's renewal of the same event. Below is a video where jockey Richard Hughes gives an insight into the match. Glorious Goodwood is one of the most enjoyable race meetings of the English summer; full of all the panache, but without the stuffiness of Royal Ascot. For over 20 years, Lancastrian, Peter Brown has culled moles, using methods that had been passed down from generation to generation. But this has all changed, thanks to the totally out-of-touch bureaucrats from the European Union, and Mr Brown now has to work up to 80 hours a week as a farm hand, just to make ends meet. 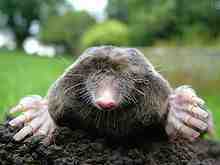 I am a mole and I live in a hole! And before I hear all the cries of how lovely and sweet the little moles are, and how cruel Mr Brown’s former profession was, please spare a thought for the destruction they cause in the countryside and diseases that they can spread to cattle and even humans. The EU Biocides Directive had decreed that the previously used strychnine hydrochloride, should be replaced by a far less efficient and more expensive alternative in aluminium phosphate. So Mr Brown, who has always worked within the law, is now unable to compete against a black market in mole trapping, and consequently loses his job and profession. How fair is this? Does anyone give a damn? It is abundantly clear that Europe certainly don’t! Peter took his case to the EU Petitions Committee in Brussels, where he was granted a whole five minutes before his argument was summarily dismissed by the illustrious Eurocrats. Maybe it has something to do with the mole being a protected species in certain countries (such as Germany). Obviously the mole has a hold of some description over the EU. WELL DONE to the EU for yet another idiotic, stupid decision. Is it truly any wonder why the majority of everyday people here in the UK, have little, or no time, for this so-called union with Europe? Haven’t we had enough of the Eurocrats poking their noses into our business? The fact that we are an island, surrounded by water, is there for one very good reason – to help keep the buggers out! Surely it is time we severed our membership of this body that only seems to be operating for the benefit of its smaller member nations? What exactly do we get out of it? Not as much as we have to put in, I would guess! Tatty has stepped off the soapbox! I continue from my previous posting, bemoaning the fact that we Brits (or should I say British TV companies) are desperate to see home grown winners of our major home sporting events. Last week we saw the Formula One, British Grand Prix being won by Spaniard Fernando Alonso and not even a Brit on the podium. 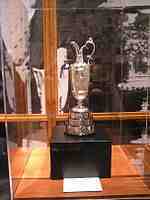 This week it is the Open Golf championship at Royal St Georges and the so-called World Nos. 1 and 2, who are both British (Stand up Messrs Donald and Westwood), missing the cut at the halfway stage. It does beg the question, how can somebody achieve a top 2 ranking without never winning one of the major tournaments? I know the rankings are devised from tour event finishes over a period of time, but surely a major outranks these events and should carry more clout in the calculations? Therefore it would not only show the talent and recent form of a player, but also how well he/she handles a pressure situation. As I write, the Open is half way through its 72 holes and the lead is currently shared by American Lucas Glover, who won the US Open in 2009 and Darren Clarke from Northern Ireland, which is fast becoming the hot bed of golf with current US Open Champion Rory McIlroy and his predecessor Graeme McDowell both hailing from the principality. With torrential rain and the possibility of thunderstorms expected for the rest of the weekend, it will prove that the weather is a great leveller and that anybody could come through to win. 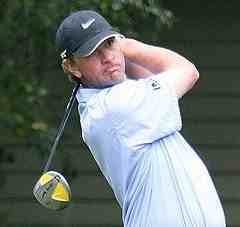 One last thought: When Lucas Glover won his major back in 2009, the weather was very similar. We will see how it all pans out on Sunday afternoon/evening (weather permitting). At this time of year, there are a plethora of world renowned sporting events, taking place here in the UK. Last week it was the tennis at Wimbledon, this weekend it is the Formula 1 British Grand Prix and next week the Open golf championship gets under way. I got to thinking today about the British yearning for its home grown sportsmen and women to win. From the Murray craziness at Wimbledon to Hamilton and Button at Silverstone, to any number of potential hopefuls at Royal St Georges. Wimbledon has gone, but will a Brit win elsewhere? Is it similar in your country? Or are you pleased just to see top sportsmen, irrespective of their nationality? Please let me know. In the last few days, I have had the pleasure of watching live cricket on Sky TV from Dominica in the Caribbean. After hosting one-day internationals against Bangladesh and South Africa (x2) in the last 2 years, the 3rd Test match in the series between the West Indies and India, is the first such match ever to be staged on the island. The match is being played at the newly built Windsor Park, whose construction was financed by the Chinese government as part of their "memorandum of understanding" with Dominica. The ground was built at a cost of $17m (US) and will hold a capacity up to 12,000. Recently, a Dominican friend of mine was explaining how there are many other projects underway on the island, such as road construction, all sponsored by the Chinese. All of this work is being undertaken by an imported Chinese workforce, causing friction with the local population by not allowing employment for Dominican people. It is estimated that 14.2% of the population is unemployed in Dominica, which I suppose stands up better than the figure in excess of 17% back in 2006. It would be interesting however, to see how the figure would fall should local people be employed in the current logistical improvements. Cricket is the most popular sport on the island, who compete in regional West Indies cricket championships as part of the Windward Islands (along with St Lucia, St Vincent and Grenada). The island is also represented around the world by top international cricket umpire Billy Doctrove. Named after the town of Windsor in England, the multi-purpose stadium has also hosted the World Creole Music Festival, the finals of a calypso competition, a World Cup soccer qualifier and the Miss Dominica pageant. Last night in Hamburg, a fight to help unify factions of the World Heavyweight Title was contested by Ukrainian, Wladimir Klitschko and Briton, David Haye. Klitschko put up his WBO and IBF titles, whilst Haye laid his WBA belt on the line. After a rather distasteful run up to the fight, with Haye being continually abusive toward his opponent and where Klitschko dealt with all insults in a gentlemanly manner, the Ukrainian won easily by a unanimous points decision. 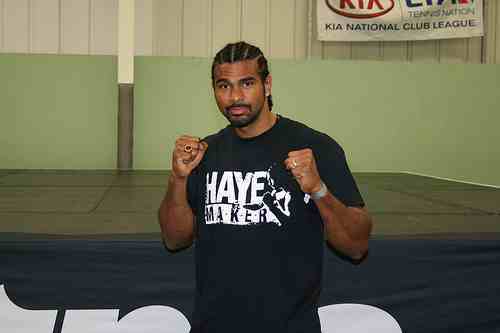 After the fight Haye claimed to have gone into the contest with a broken toe after an accident that happened 3 weeks ago in training. 1. Why was his injury not picked up by the overseeing medical professionals, causing the fight to be postponed until a later date? 2. As Haye claimed not to be fully fit at the start, surely all fight fans that travelled to Germany, were coaxed there on a false pretence and have a case to get their travel costs refunded? 3. All fans who bet on the outcome, or more to the point, on Haye to win (and Tatty includes himself in this), should get their stakes refunded? 4. All those paying for the Sky TV pay per view coverage should also get refunds? To be honest Mr Haye, we have been conned by the fact that you (so you say), did not go into the fight at 100% fitness. I am sure that you will be only too quick to take your purse for the fight though, not giving a damn about your fans being out of pocket. 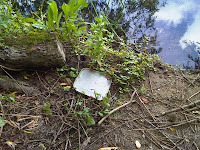 With the apathy you have shown towards the title that you once held, you have as much as stuck two fingers up at the authorities that control the sport and anyone connected with it. Let’s hope this is the last we see of you in the ring, because if you return, how will anyone ever take you seriously and be sure that everything is above board? There are a lot of very angry people, who feel totally sold out by this whole sordid affair, but I doubt you really care, so long as your bank balance rises. Thankfully the right man won the bout. Mud sticks Mr Haye and you are totally covered in it! I had some spare time this morning so, as the weather was nice, I decided to buy a pint of maggots and spend a few hours down by the riverside, trying to fool those nice fish into jumping on my hook. I went to a stretch of water on the River Great Ouse, controlled by the club I belong to, namely the Blunham and District Angling Club. 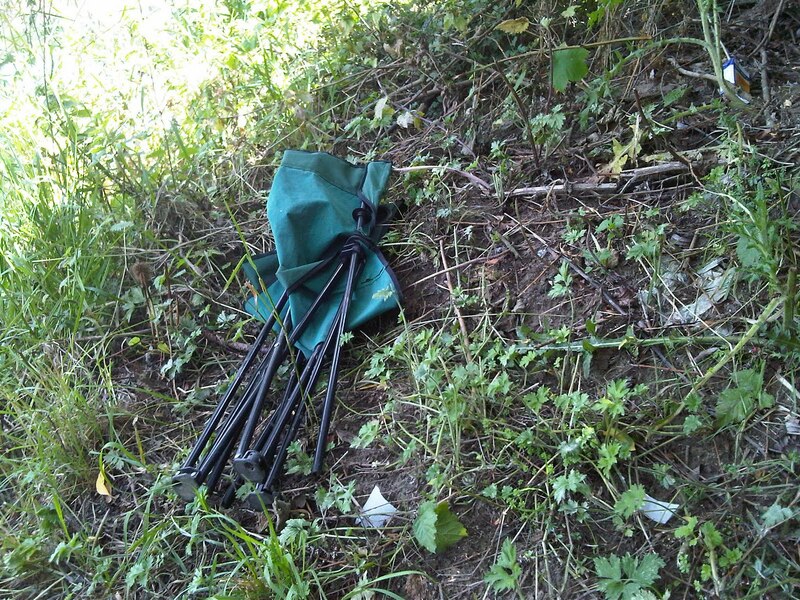 As it was, I caught a couple of small roach, a gudgeon and a young chub which was all very enjoyable, but the thing that put a dampener on the whole business was the amount of rubbish that had been left at the bankside by a previous angler. 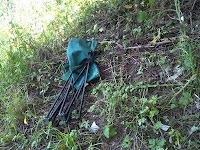 As shown there was a broken fold up chair, along with a bait box lid and numerous food packaging items. It amazes me that as this water is supposedly only fished by club members, how they can be so stupid as to leave their discarded rubbish where it falls, knowing it reflects badly on the club and us other members. 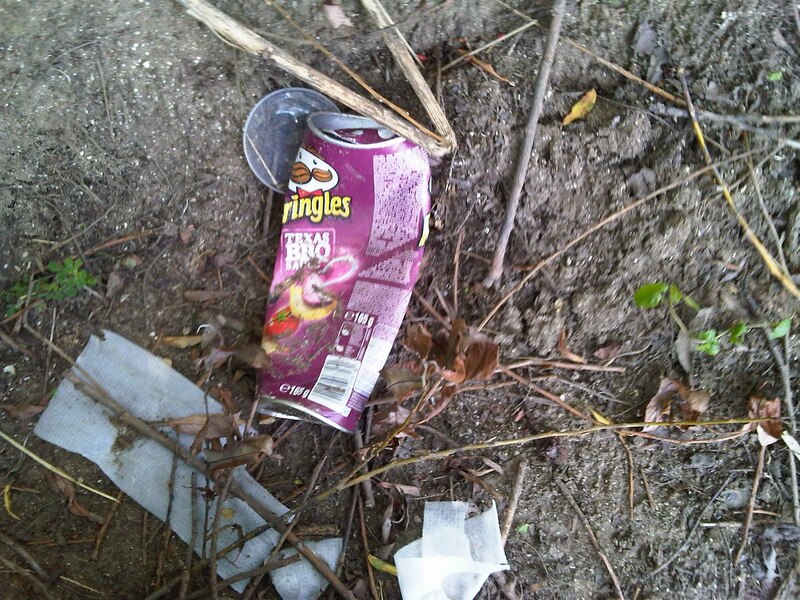 For the record, I collected it all up and disposed of it in the correct manner. If there was a way to identify this/these idiot/s, I would have no qualms in naming and shaming them. 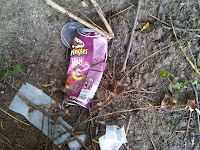 The title litter louts is too mild for what I think of them.